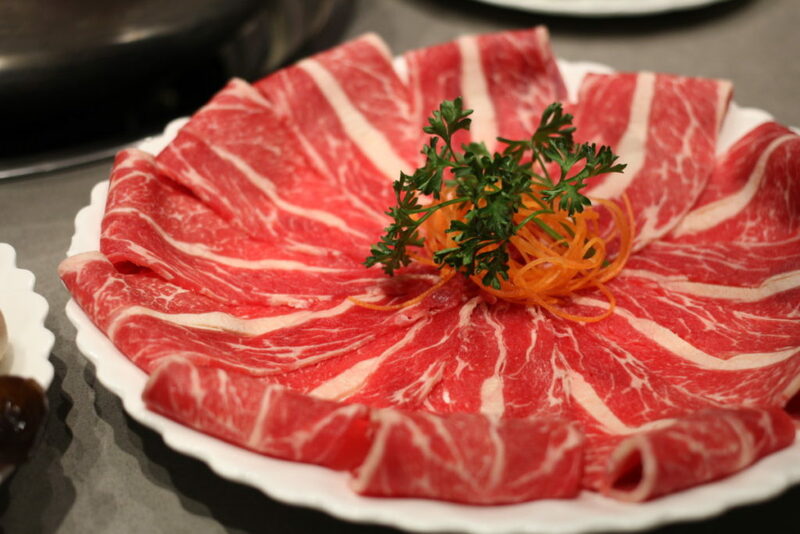 Have you heard of Liuyishou Hotpot? 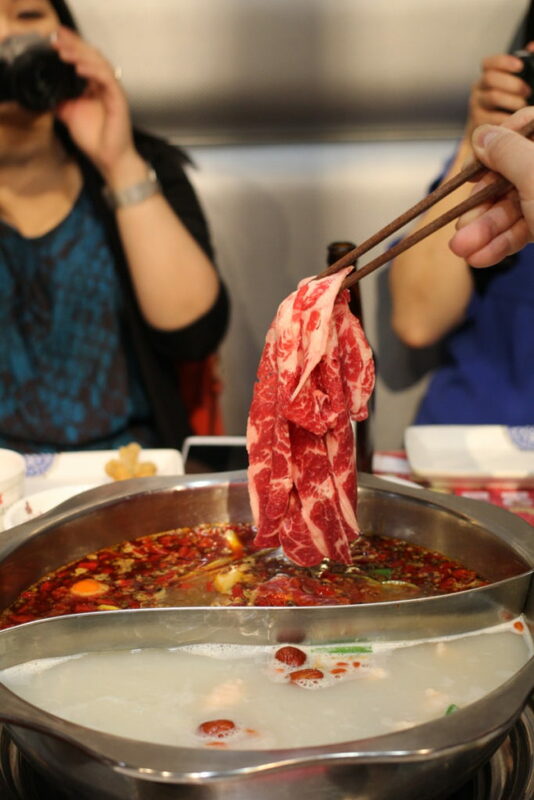 Liuyishou Hotpot started in Chongqing China and has now grown to over 1000 locations worldwide over the past 17 years. 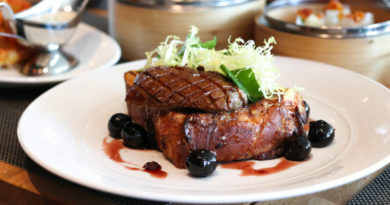 They currently have prominent franchises with locations in China, Canada, U.S, Dubai, Singapore, Australia, Japan, Thailand, and France. 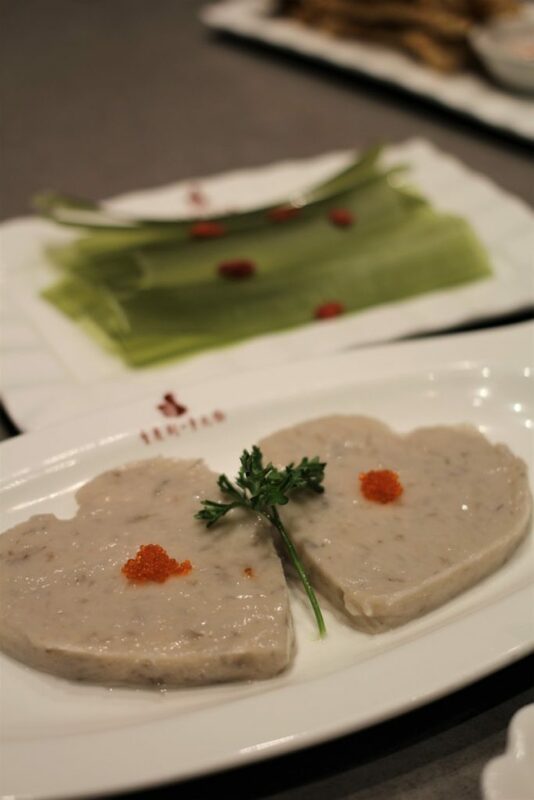 I was recently invited to a media tasting to try their Chinese New Year menu so here is a sneak peek! 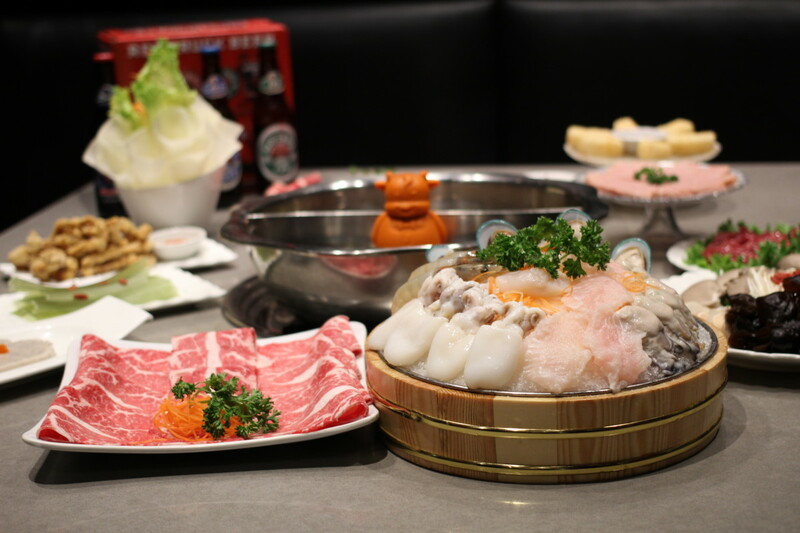 Hosted by Vancouver Gourmet Tours, Liuyishou Hot Pot is presenting Liuyishou Hot Pot Week 2018 from February 26 – March 2 at locations in Vancouver, Richmond, Burnaby, Richmond Hill, Toronto, Ottawa, and Edmonton. 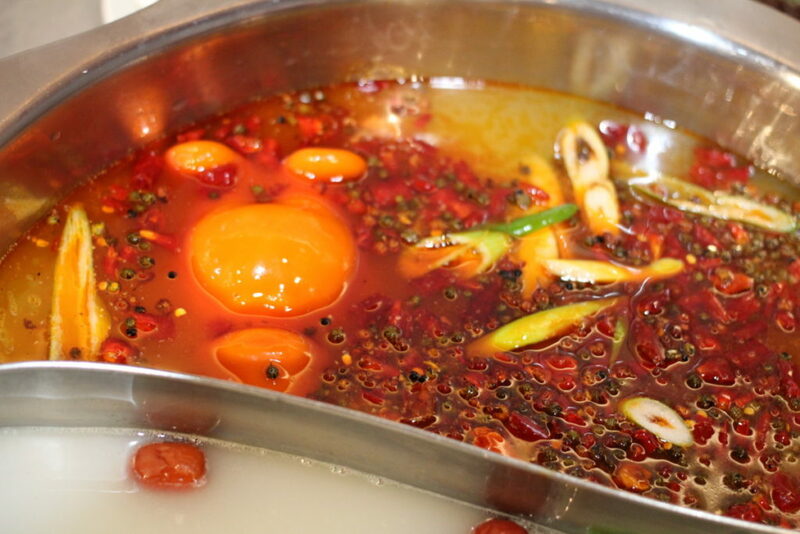 If are familiar with hot pot, you know that the sauce can make a really big difference. At Liuyishou Hotpot, they have the largest sauce bar I’ve ever seen. 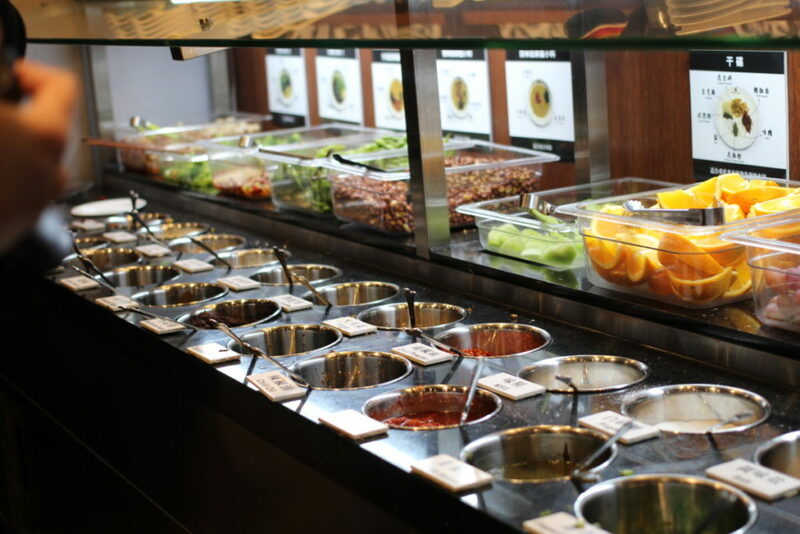 With over 20+ sauces, fresh herbs, and spices, you really can create whatever you want to go with your meats and veggies! And for those of you who will have no idea what to choose nor have any idea what flavour combinations work with each other, they have a handy guide to teach you. This featured one is pretty classic and features chili flakes, minced garlic, coriander, spicy sauce, chopped peanuts, oyster sauce, vinegar, green onion, and sesame oil. 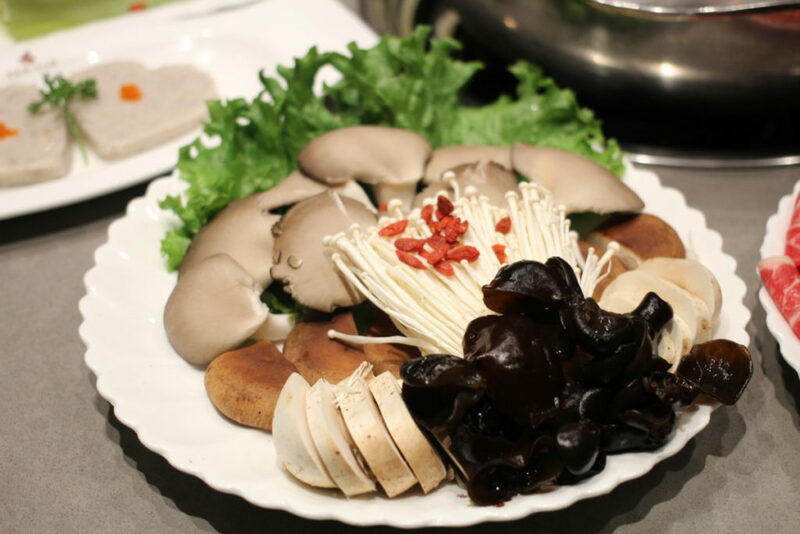 Their assorted mushroom platter consists of white button mushrooms, black wood ear mushrooms, oyster mushrooms, enoki mushrooms, and brown button mushrooms. 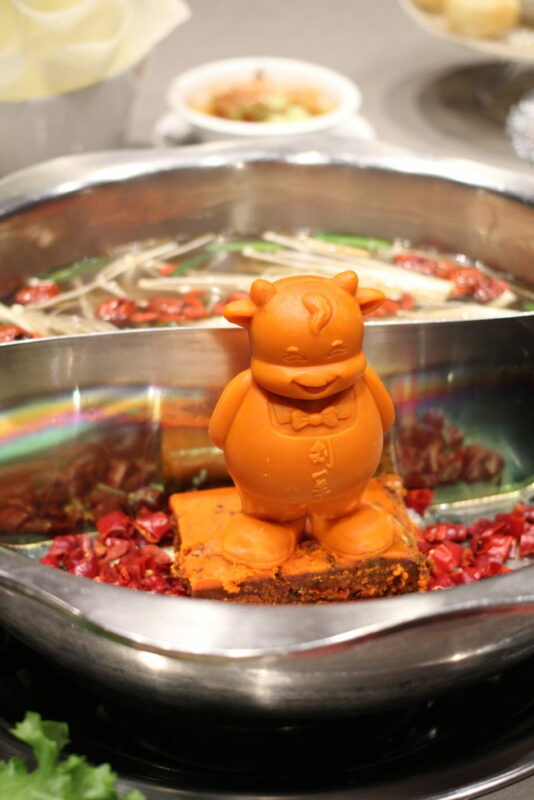 One of their specialties is the traditional Chongqing style hot pot broth, prepared with special butter (in a shape of a cow! 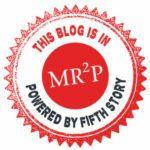 ), red hot chilis, Sichuan peppercorn, and many other exotic herbs and spices. Fair warning, this is a super spicy broth! The kind that builds over time and leaves your mouth with a numbing and stimulating sensation. Even though I can’t take too much spice, one of my favourite things to eat is instant noodles that have been cooked in this Chongqing broth. The result is a spicy dry fire noodle that is similar to the crazy Korean fire noodles that people have been eating on YouTube as challenges. 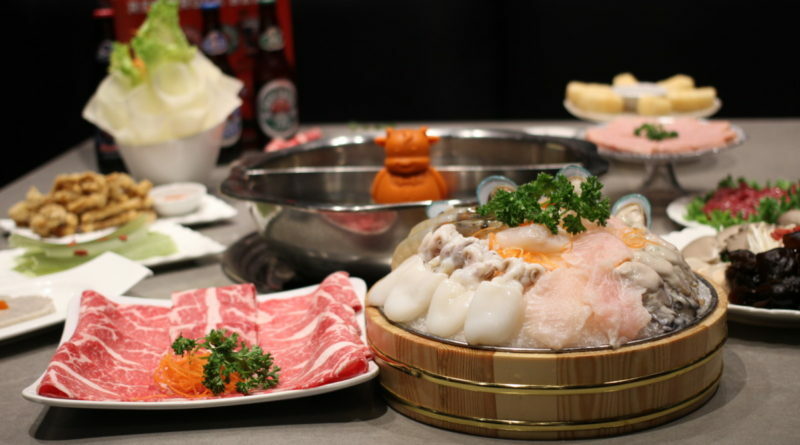 With this particular Hot Pot Week set menu, it comes with complementary local craft beers from Red Truck Brewery. 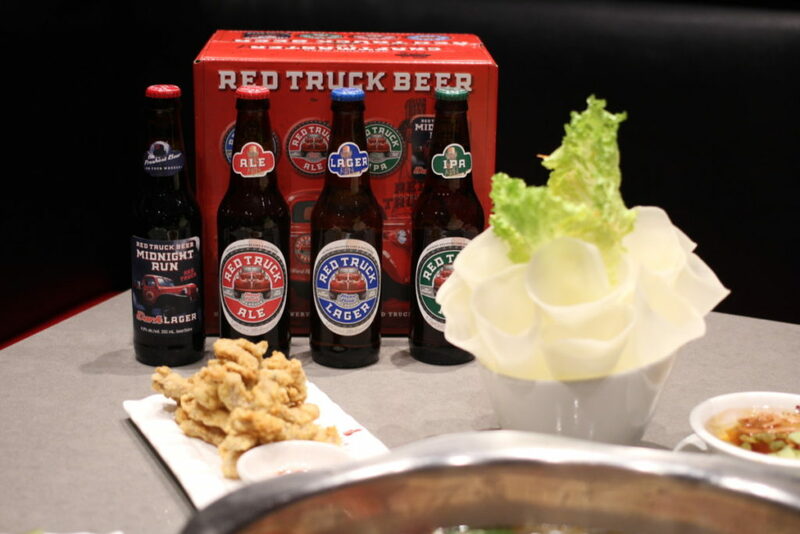 I really enjoyed the Red Truck Lager, but I’m sure any one of these delicious beers would go great with your hot pot. This Mixed Mushroom Platter consists of wood ear mushroom, white and brown button mushrooms, oyster mushrooms, and enoki mushrooms. 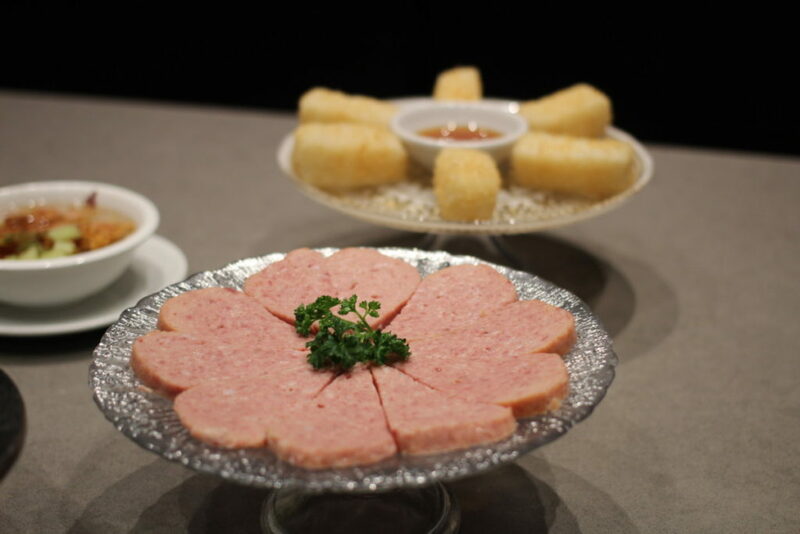 You can never go wrong with spam, amiright? This sliced tender beef was indeed tender and delicate. I usually enjoy sliced beef more but this was really good. I am a lover of all shrimp paste so I was so happy to see they make their own here. The weird flat green things in the back are mung bean noodles! They were absolutely delicious as well!! Look at that marbling on the beef! The beef had the perfect amount of marbling. Once cooked, it was literally melt-in-your-mouth. 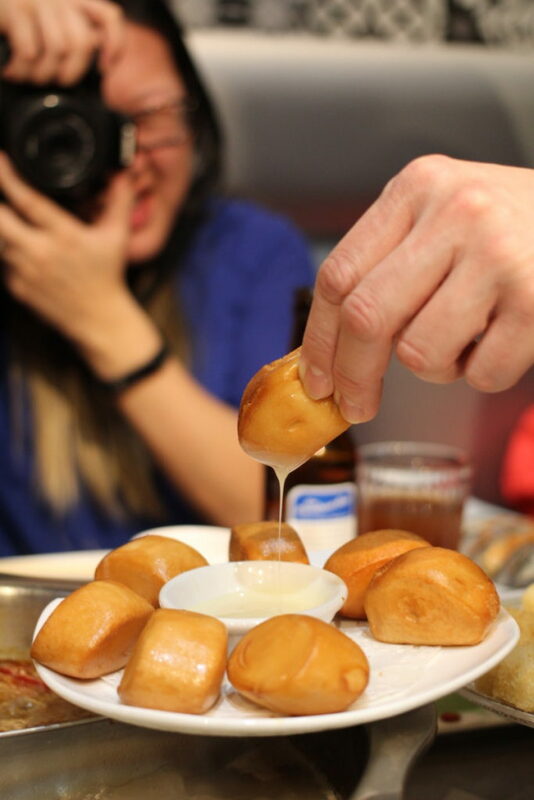 I don’t know about you, but I gotta have my Golden Mantou Buns whenever I go out for hot pot. Essentially they are deep fried steamed buns and they taste absolutely scrumptious when dipped with condensed milk. This is an absolute must have!! All in all, I thought the LiuyiShou Hot Pot Week dinner set menu was of incredible value and you can get severely full for a very reasonable price. 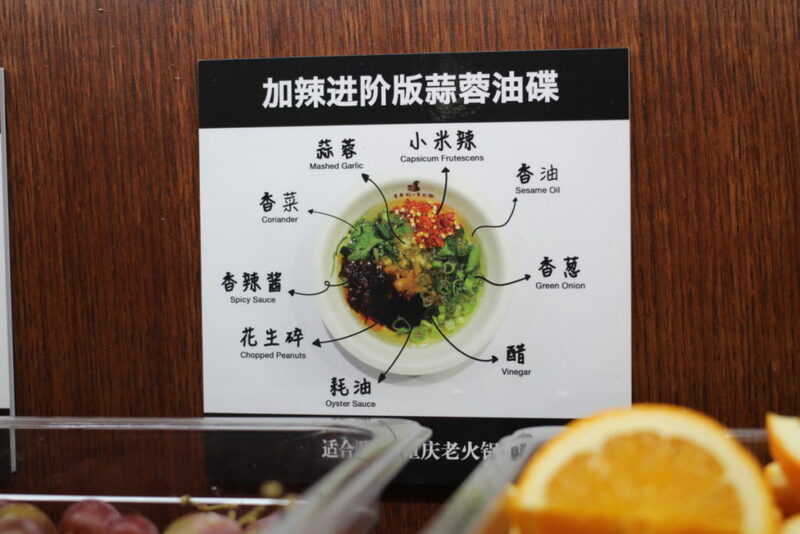 The set menu price below comes with the soup base, all of the meats, veggies, noodles, appetizer dishes, fresh fruit, use of the sauce bar, and local craft beer! That’s way better than doing hot pot a la carte at some other hot pot places in Vancouver. 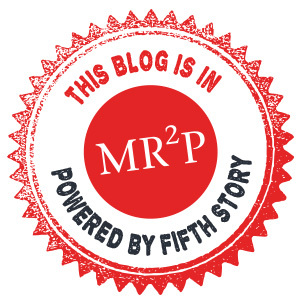 29th Avenue Cafe – Hamburg Steak For The Win.